If you’re a Disney enthusiast, the best way to enjoy a magical vacation is through the Disney Vacation Club (DVC). If you haven’t heard of it, this flexible vacation ownership program provides owners with an annual allotment of points that can be used to make reservations at a home resort or exchange for a stay at any other resort in the Disney Vacation Club network. Anyone who has ever visited the Disney parks is likely familiar with these stunning resorts and all the unique amenities they offer. For example, Disney’s Beach Club resort features beautifully appointed units that provide guests with a full kitchen, washer and dryer, multiple bathrooms, TVs, and separate living and dining areas. DVC resorts also offer a number of fantastic amenities that add such value to the vacation experience. Disney Animal Kingdom Lodge is well-known by guests for the up-close encounters with exotic African wildlife, swimming pools with slides, and award-winning dining. The Disney Vacation Club is so popular that many timeshares are completely sold out from the developer. If you’re lucky enough to find one to purchase, they are incredibly expensive because of the high demand, however, there is an easier way. 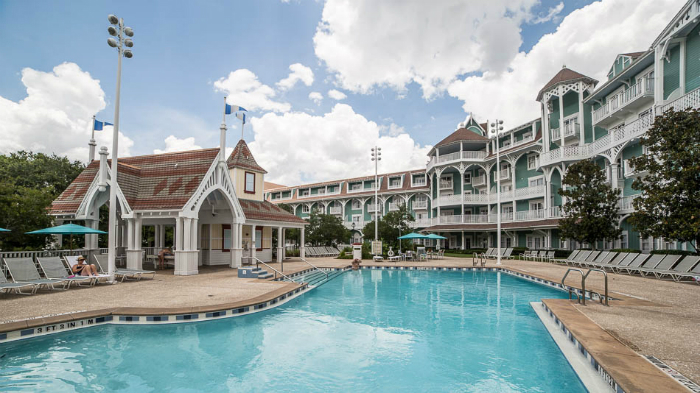 Those interested in the Disney Vacation Club are able to buy DVC points or rent them on the secondary market. The secondary market is where owners will sell or rent out their DVC timeshares they no longer use or need. Because they are priced by-owner, you avoid paying sales commissions, taxes, or any hidden fees that developers often tack on. Reputable online resellers like DVCTimeshares.com provide a convenient and affordable way to buy or rent a DVC timeshare. If you’re undecided on whether you want to buy or rent, rest assured that there are ample benefits to both! Buying a DVC resale is simple and cost-effective. The secondary market features owner-advertised units priced thousands below what Disney developers charge. And even though the prices are much lower, you’ll still get the same great Disney resort amenities, and the ability to exchange within the the DVC network. Additionally, resale buyers can go beyond DVC resorts and travel the world by exchanging through RCI and Buena Vista Trading Company. There is also no need to sit through a high-pressure sales presentation. Simply browse available DVC timeshares online, right from the comfort of your own home. If you’re not completely sure you want to buy, a rental is the way to go. Rent a DVC timeshare for a one-time vacation and experience the accommodations and amenities first hand. This also saves you from sitting through a timeshare presentation while still getting to visit the resort for a low weekly rate. Pricing is often times lower than local area hotels, but with much more value and many additional benefits. To find amazing deals on Disney Vacation Club timeshare resales and rentals, visit DVCTimeshares.com.